SINGLE-FAMILY ATTACHED. NOT A CONDO.USDA OR FHA. Freshly Painted! NEW CARPET! 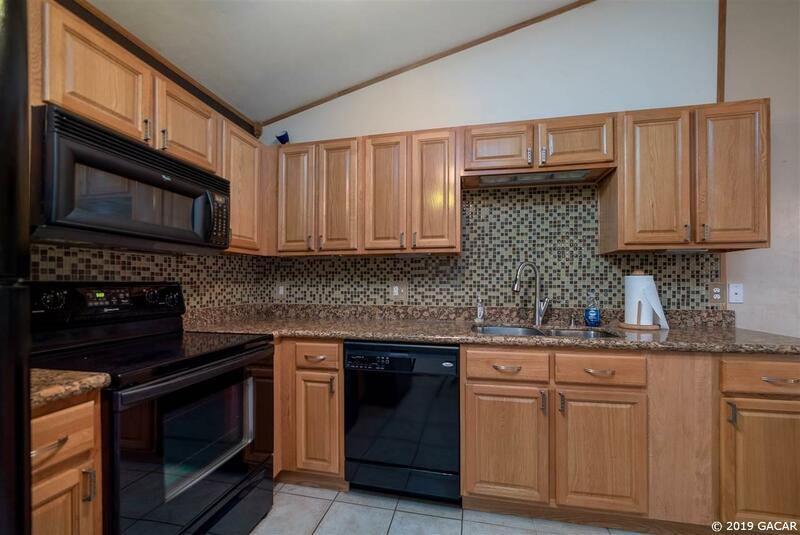 Gated Turkey Creek Attached End Unit Patio Home. Upgraded one-story single-family attached end unit in quiet small cluster of homes. 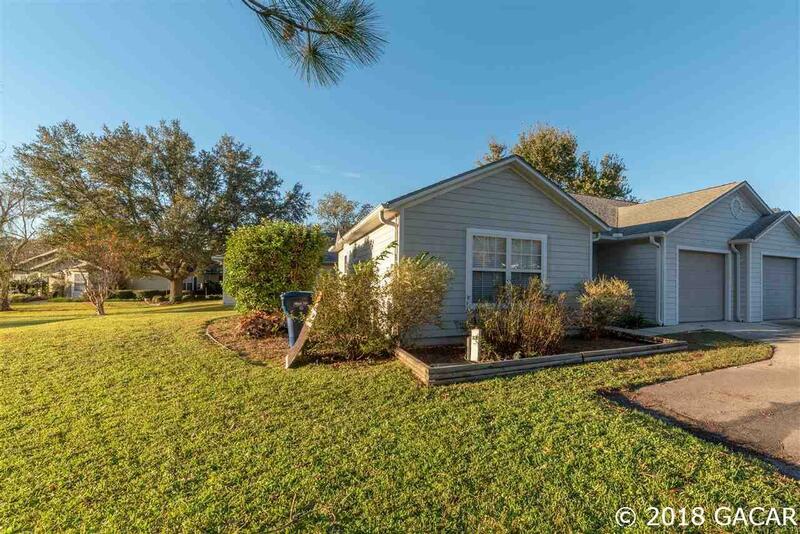 Green space surrounds this 2005 -built 2 bedroom/1 bathroom home. Spacious attached garage & plenty of parking. 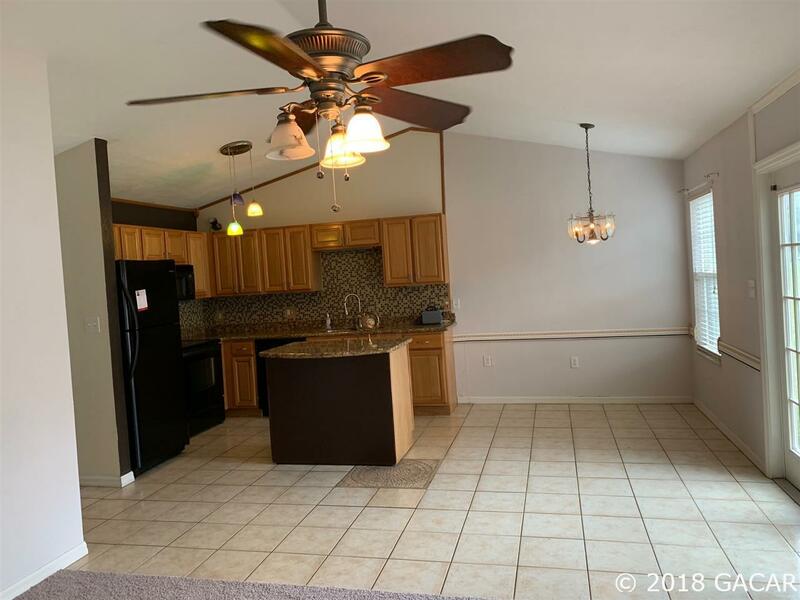 Upgraded kitchen and bathroom including granite counter tops, wood cabinetry, granite kitchen island,newer matching appliances, tile & frame-less glass shower door. One car garage and plenty of parking for guests on extended driveway. Open concept kitchen is perfect for entertaining. Plenty of natural light. Turn-key ready and low maintenance. Special features includes a 220' of dedicated sewer drainage. Over-sized open patio is perfect for grilling and entertaining. Green space in front and on side of home. Plenty of room for pets. Turkey Creek Golf & Country Club features a gated community with onsite security officer at front gate, pool, tennis courts, walking trails, restaurant, golf course, playground, and plenty of green space. Low utilities and low $150/quarter HOA dues. HOA owns the golf & country club. 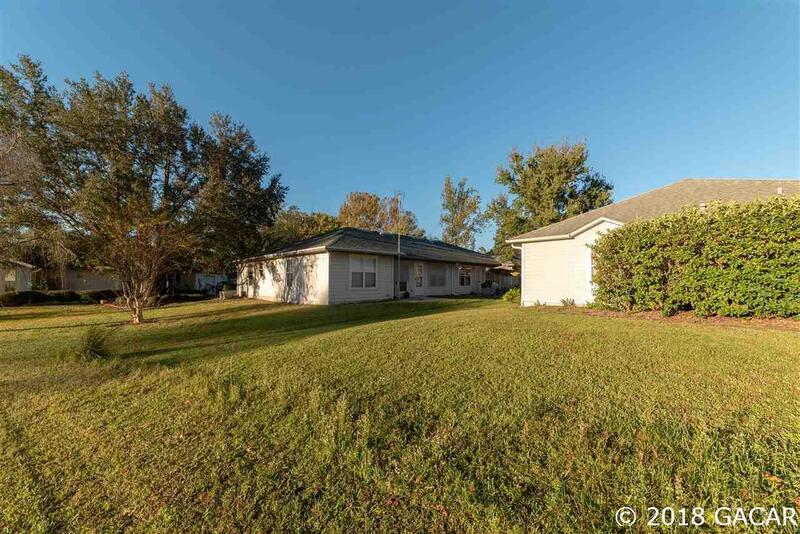 Minutes to NW Gainesville via 43rd Street Extension and quick commute to downtown, UF, Shands & VA.